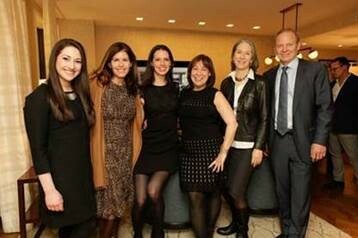 Corcoran Sunshine Marketing Group recently held an event celebrating luxury condominium 207W79’s official launch of sales. 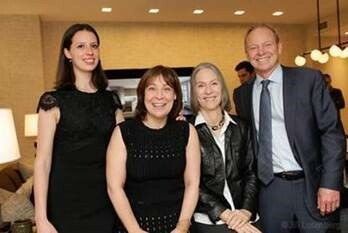 Hosted at 207W79’s sales office on the Upper West Side, the event offered the brokerage community a chance to view the completed sales office. Developed by Manhattan-based luxury developer Anbau and designed by Morris Adjmi Architects, the full-service building is located at 207 West 79th Street and will feature 19 two- to six-bedroom residences, including two townhomes and a penthouse. The building compliments the surrounding landmarked Upper West Side district with prewar design touches such as parquet flooring, casement windows and limestone on the façade, while top-of-the-line fixtures, generously proportioned modern layouts and oversized kitchens entice modern buyers. 207W79 is exclusively represented by Corcoran Sunshine Marketing Group, with prices ranging from $3.95 to $15 million. 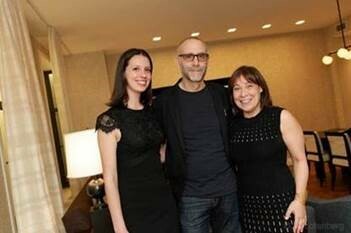 Kristin Black, Corcoran Sunshine Marketing Group; Morris Adjmi, Morris Adjmi Architects; Elizabeth Unger, Corcoran Sunshine Marketing Group. Sarah Domber, Beth Fisher, Kristin Black, Elizabeth Unger, Corcoran Sunshine Marketing Group; Barbara Van Beuren & Stephen Glascock, Anbau. Barbara Van Beuren, Anbau; Morris Adjmi, Morris Adjmi Architects. Kristin Black & Elizabeth Unger, Corcoran Sunshine Marketing Group; Barbara Van Beuren & Stephen Glascock, Anbau.